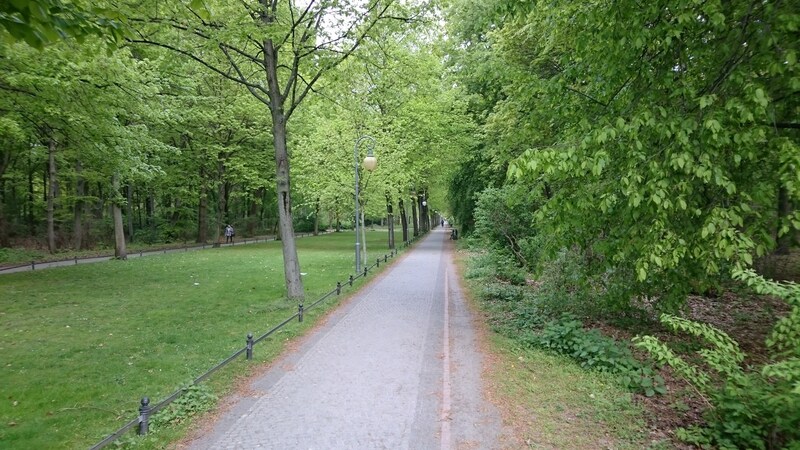 Yesterday I attended the “Ride of Silence” in Berlin for the first time. The sad reason for this event was to remember the 17 cyclists who died in the traffic last year in Berlin. Yesterday I noticed by chance that the frame of my everday crosser has a dent :-(. I didn’t see it before as it is on the right lower side and you can barely see it from the top or from the side. I believe that the dent was caused by my accident in February. There my bicycle lied on it’s side at the end next to the curb – propably the curb left this mark on the impact of the frame. 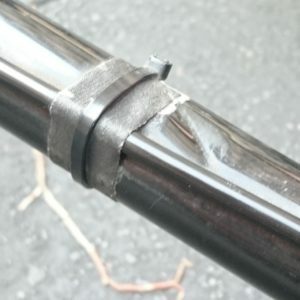 However the frame is made of steel and the dent is not at a right angle to the tube and also not near a weldseam – therefore I will just let be like this for now and check the frame for cracks from time to time, as a new frame will cost more than 400 EUR. A couple of days ago the saddle on my every day crosser got stolen :-(. 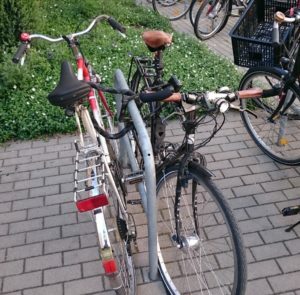 At least only the saddle and not other parts as well. It was a pitty anyway as also a screw on the seat post was missing which you can’t get easy as a spare part due to its special diameter (M7). In fact the seat post got unusable because of that. I bought a new seatpost by Ergotec and a saddle. Instead of the Brooks B17 there is now a “plastic saddle” by Terry which is hopefully not that attractive for thiefs. 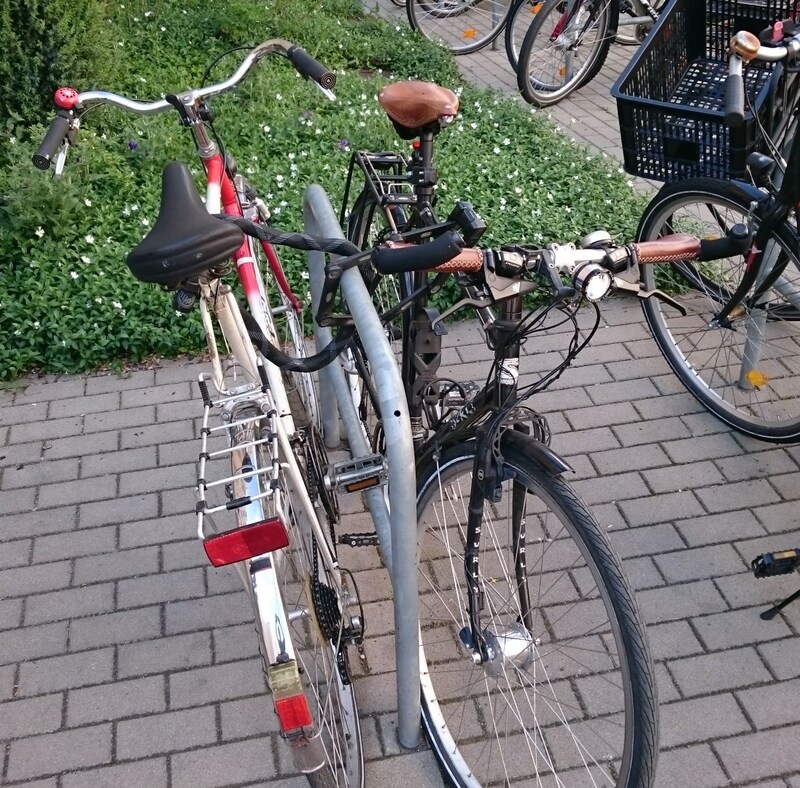 At least the new saddle is quite similar to the B17 in its dimensions and it is also quite comfortable. 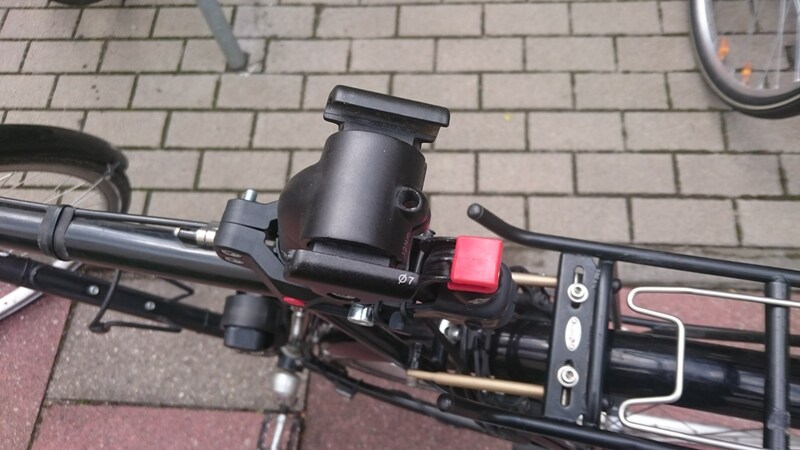 Recently I mounted a bit more comfortable handlebar on my Peugeot PX-10. However it still lacked a solid mount for a light. The intended light, Ixon IQ by Busch und Müller, provides a mount for the handlebar – but this is not very stable (at least in the variant of my copy) and the light tends to turn very easily due to its weight.